Have you jumped on the Almond Milk or any nut or seed milk campaign yet? We have! While many folks move off of dairy due to allergies or sensitivities, we did it because we love the creaminess of the almond milk in our overnight oats recipes. Regular 2% milk worked fine, but the almond milk took it over the top. 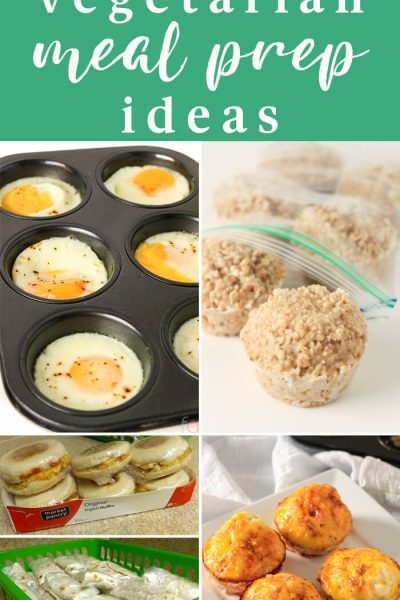 We also love how easy it is to make at home! 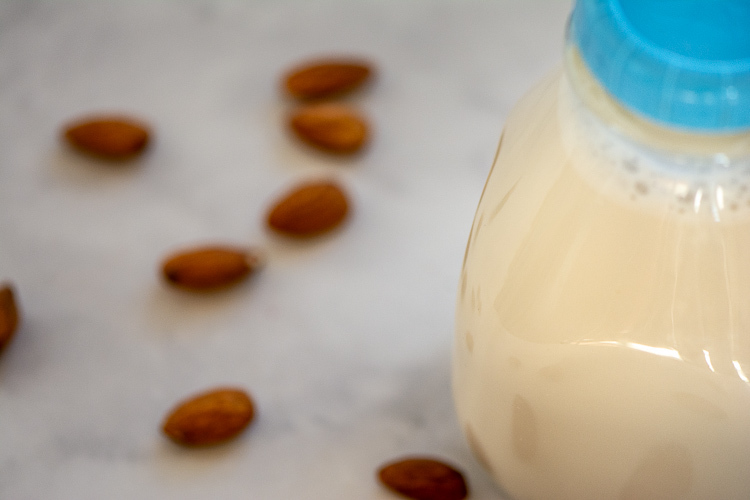 Save the money and learn how to make Almond Milk at home. How long do I need to soak the almonds? Soak a cup of raw almonds in water overnight. There isn’t anything special here. Use a small bowl and cover the almonds with water. Let them sit overnight to soften them up. Pro Tip: If you forgot to soak them overnight, add them to hot water or an Instapot for a couple of minutes. Both of these techniques will work in a pinch. 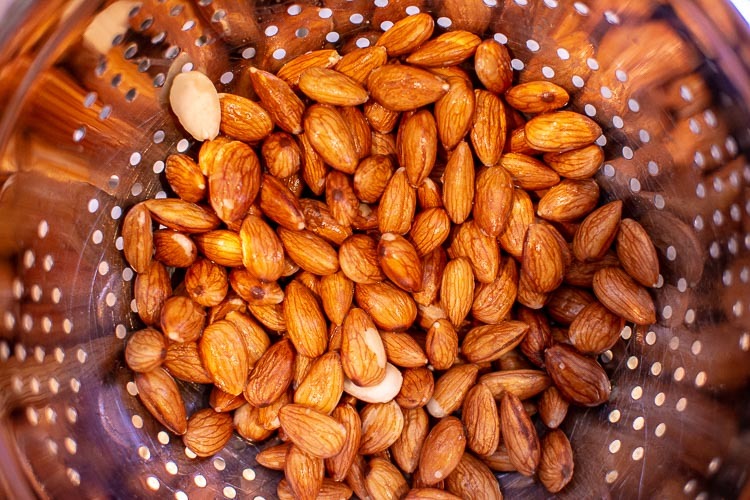 In the morning, drain the water from the almonds in a colander and rinse them off. 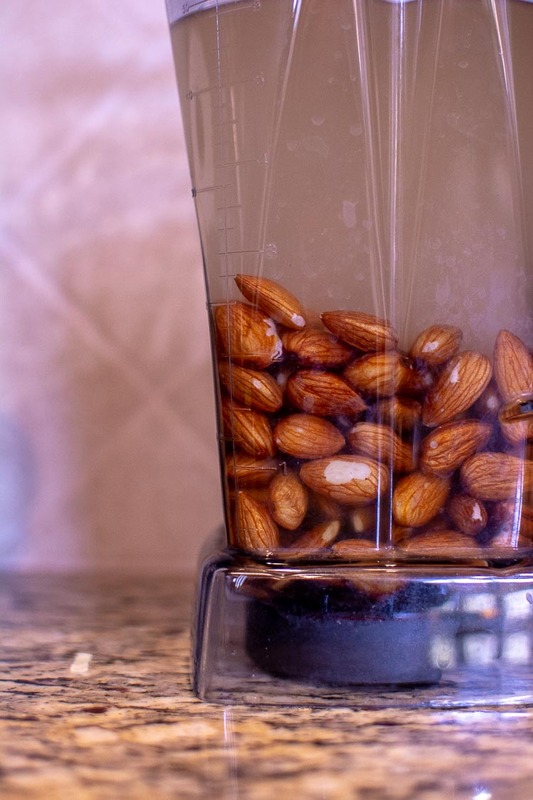 Add the almonds to a high speed blender. We use a Vitamix. We use it constantly, so it was an investment for us as we can blow through appliances if they are not up to an almost-industrial grade. Note: I always feel the need to say that because I know that most blenders work great for many uses. When you start to use it daily, you’ll want a work-horse like a Vitamix. Add the water, agave syrup (you can substitute honey), and vanilla extract. I made vanilla extract at home. It is super easy and a lot of fun. Blend on high speed for a solid two minutes. You will see the almond bits become smaller and smaller. After two minutes, turn off the blender and prepare for straining. How do I strain the milk/nuts? 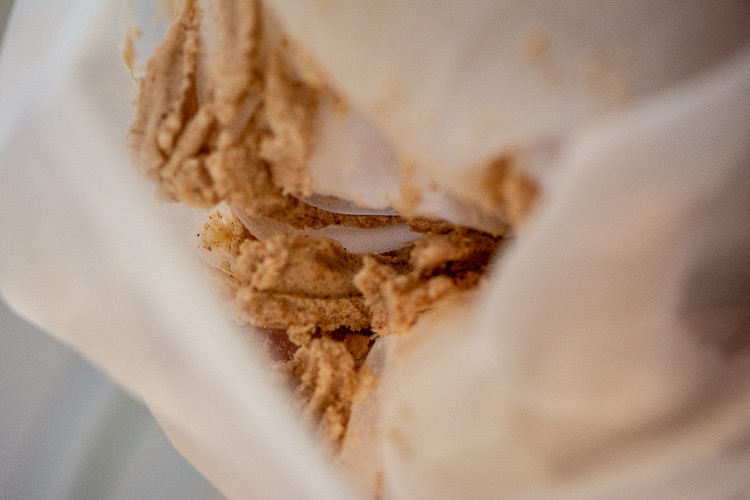 You will need a nut bag or a thin kitchen towel to strain the almond milk into. We used a nut bag but a kitchen towel or cheesecloth will work great too. 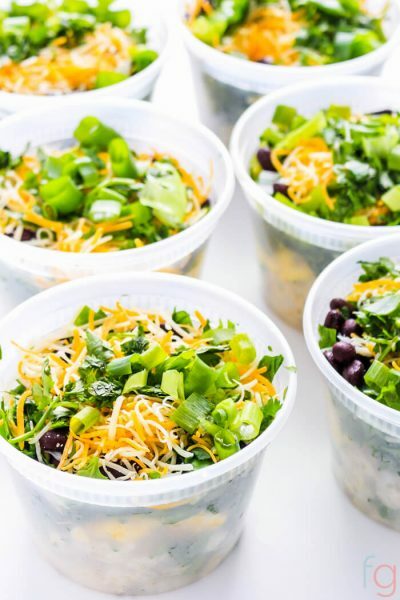 Place a large bowl in front of you. 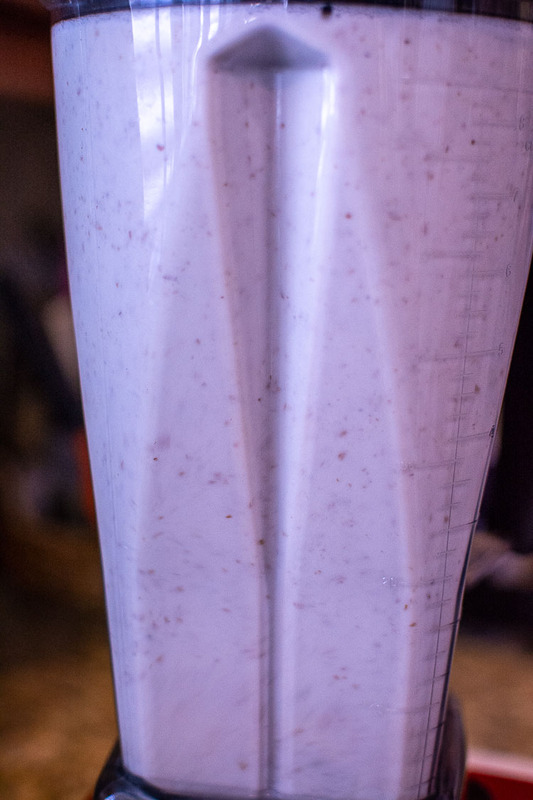 Slowly pour the almond milk from the blender into a nut bag or thin kitchen towel that is placed inside the bowl. You’ll want the almond milk to drip out of the bag and into the bowl as you squeeze the bag. 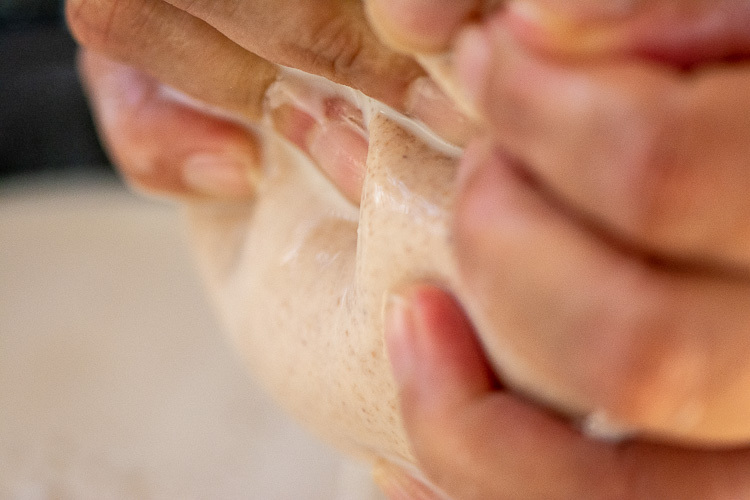 Squeeze, squeeze and squeeze again. Your hands will get tired, but you will feel when the only thing left inside the bag is the pulp. Don’t throw it away. 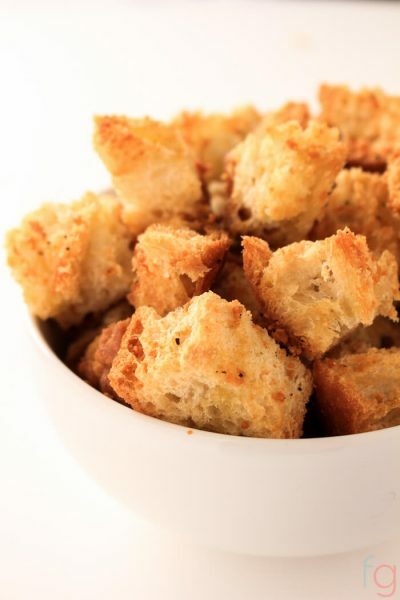 It is a delicious and nutritious mixture of ground almonds and flavorings. I keep it in a small container in the refrigerator and add it to smoothies and overnight oats recipes. 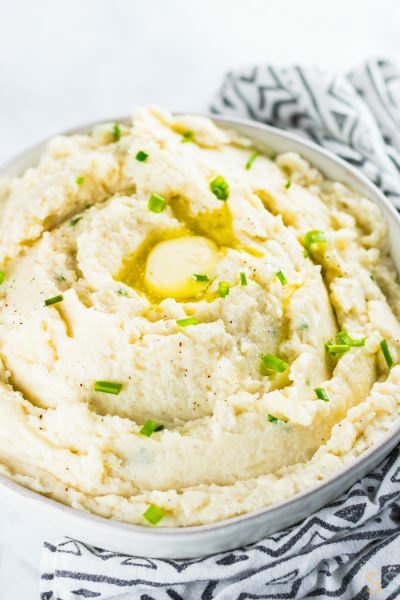 The flavor is highly concentrated, but when added to those recipes, it really makes a big difference! 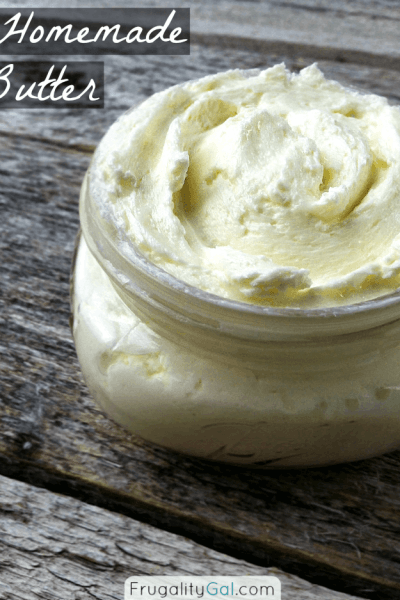 How Long will Homemade Almond Milk Last? The milk will only last 3 days in the fridge, so this is not the time to “meal prep” for the week and go crazy! Only make what you can drink or use in a few days so you don’t waste. Do I have to use a nut bag? The nut bag was a new purchase for us. I know we will be making more nut milk in the future and thought it was worth the couple of bucks. It is a finely woven fabric that was easy to rinse and throw in the washing machine. I think you could hand wash these in the sink with success but I tested the washing machine and it was fantastic! Why Did You Use Agave? We had it on hand and have incorporated into several recipes. If you don’t have it, please don’t run out to buy it. Use honey as a substitute instead. At some point, it is a great item to have on hand. That’s it! Let us know if you try it and how it turned out for you. 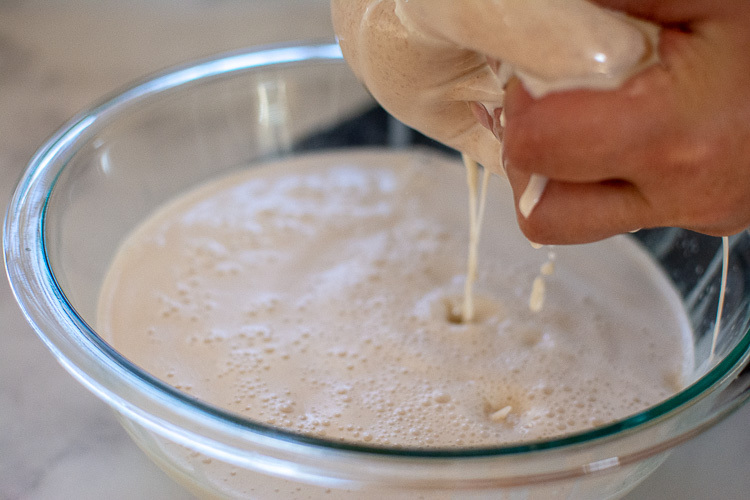 Learn the easy steps to making homemade almond milk. 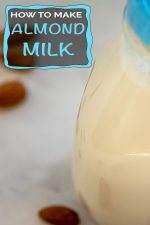 This is an extremely healthy and easy alternative milk that tastes amazing! Pour the almond milk into a nut bag over a large bowl. Squeeze out all the milk into the bowl until there is only pulp left in the bag. Store in refrigerator for 3-5 days. There are no preservatives, so don’t store longer. Almond pulp leftover can be used in overnight oats, smoothies or energy bars. Don’t throw it away when it can be used for other recipes.